Confronting Neo-liberal Capitalism: SIGTUR’s tenth Congress in Perth/Australia, 2 to 6 December 2013. 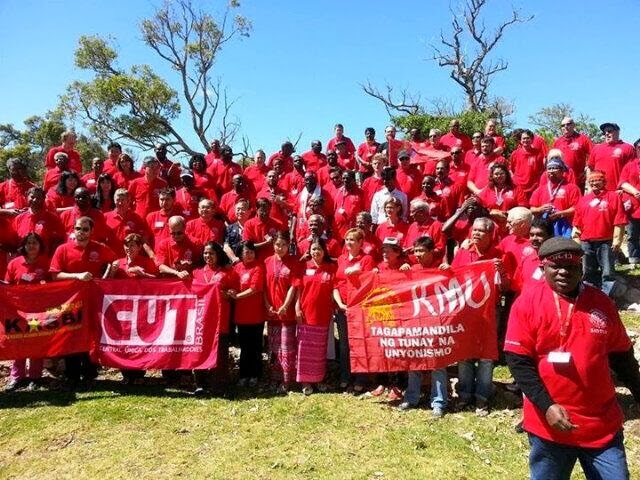 Last week, I attended the tenth Congress of the Southern Initiative on Globalisation and Trade Union Rights (SIGTUR) in Perth/Australia, 2 to 6 December 2013. SIGTUR is a network of more militant trade unions from the Global South with a focus on South-South co-operation. In this post, I will reflect on SIGTUR’s achievements, problems as well as possibilities for the future on the basis of the exchanges at this Congress. 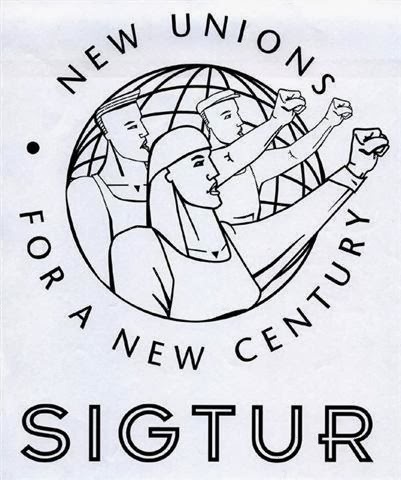 I will argue that it will only be through joint campaigns against capitalist exploitation that relationships of solidarity can be established through SIGTUR more widely. Since its establishment in 1991, SIGTUR’s membership has steadily increased. At the Congress in Perth, Latin America was represented by delegates from CUT/Brazil and CTA/Argentina. From Africa, the Nigerian Labour Congress and the South African Cosatu had sent strong delegations, complemented by a representative from Ruanda and a delegate from the ITUC-Africa. Unions from Asia included large delegations from CITU/India and the KCTU/South Korea. Smaller delegations came from the Philippines, Malaysia, Thailand, Myanmar, Indonesia. One delegate from the smaller Japanese union ZENROREN also participated. Finally, a large delegation represented various federations of the Australian Council of Trade Unions (ACTU). The latter had founded SIGTUR together with Cosatu from South Africa against the background of Australian union solidarity with the anti-Apartheid struggle as well as Cosatu support for striking Australian dockers (see also SIGTUR — A movement of democratic unions of the Global South). In the following, I will first look at key differences between SIGTUR members, before discussing common challenges and the need for joint campaigns. Although geographically located in the Global South, Australia is clearly an industrialised country unlike the countries of other SIGTUR members. Unsurprisingly, first differences emerged right at the beginning of the Congress. When the various delegations introduced themselves, the ITUC-Africa representative made clear that the capitalist system as such needed to be challenged. CITU from India identified capitalism and imperialism as the main target, while the KMU delegate from the Philippines mentioned monopoly capitalism as the main opponent. In general the unity of the working class was singled out as essential in the struggle to transform existing structures of exploitation. By contrast, Ged Kearney, President of the ACTU, raised concerns about the recent change in power towards a Conservative government and the related attack on the welfare state and progress enacted by the previous Labour government. The Australian social and industrial compact around the welfare state and employment rights was under attack, she argued. At the global level, workers from different countries would be pitted against each other and a general increase in insecure work was noticeable. While the proliferation of free trade agreements endangered the environment and undermined workers’ rights, corporate power was globalised. Not capitalism as such, but unfettered capitalism was identified as the opponent. Decision-making at G20 meetings should be done in consultation with employers and trade unions, as unregulated free markets would not work. This resembles very closely the position of many European trade unions and their emphasis on social partnership with employers to ensure a capitalist system with a human face, in which economic growth is combined with fairness at work and throughout wider society. Another area of differences concerned the relationship between trade unions and political parties and social movements. As the Argentinian CTA delegate outlined, instead of close connections with a political party, his union has emphasised co-operation with social movements. Individuals and social movements can even be directly CTA members without representing sections of the working class. This was the basis, he argued, on which the successful struggle against the Free Trade Area of the Americas (FTAA) had been based. 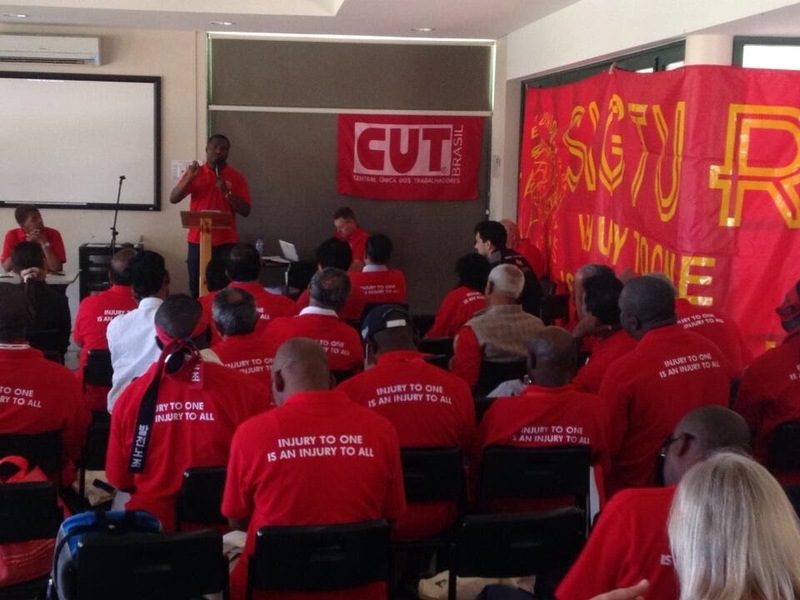 These sentiments were echoed by the delegate from the ITUC-Africa, making clear that unions can no longer be islands. They need to co-operate with progressive civil society and move from workplace issues to community concerns as in the successful global campaign for the rights of domestic workers. CUT from Brazil and the South African Cosatu, on the other hand, have close relationships to governing political parties with the PT and the ANC respectively, as had the Australian ACTU until recently with a Labour government. They would still emphasise their autonomy as trade union. Especially CUT emphasised its close collaboration with social movements such as the movement of landless workers (MST) as well as participation in various left networks, combined with critical positions on government policy, when necessary. Nevertheless, this strategy is clearly different from the CTA’s approach. CITU/India, in turn, completely rejects co-operation with social movements, as 95 per cent of them would be funded by transnational corporations (TNCs) or governments and, therefore, could not be allies in class struggle. The South Korean KCTU, finally, had actually founded its own party, which even gained 10 per cent in elections at some stage. However, soon afterwards it split and one of the two resulting parties split yet further, so that the union decided in the end not to support any longer a specific political party. Instead, it joined the broad alliance People’s Power, which is currently the platform for the struggle against the Trans-Pacific Partnership Agreement (TPPA). Considering these differences over who the opponent actually is and whether to co-operate with political parties and/or social movements in the struggle, how can SIGTUR actually function as a coherent network? Despite these differences, it soon became clear at the Congress that the various SIGTUR members are conscious of the common challenges they face and the need for joint campaigns to confront them successfully. For example, the damage caused by the increasingly powerful TNCs are everywhere the same. Chevron, the global energy TNC, for example, extracts local wealth and undermines trade union and workers’ rights in Australia as it does in developing countries. Local communities suffer everywhere, as Chevron neither provides jobs with training opportunities for local people nor establishes sustainable infrastructure. The environment is frequently damaged too. Equally, the threat to the public sector through outsourcing and privatisation affects South Korea, where the KCTU is currently involved in a bitter struggle over the privatisation of the railways (see Korea: Support railway workers’ right to strike), as it does Australia, where austerity measures undermine the public provision of services, or India, where the government intends to privatise the system of food distribution to the poor. Delegates at the SIGTUR Congress in Perth. SIGTUR members agreed that these common challenges required joint responses including global campaigns against specific TNCs, such as Chevron, Samsung or Suzuki as well as a joint campaign for the public sector and against privatisation. The current Trans-Pacific Partnership Agreement (TPPA) negotiations were especially identified as dangerous. On the one hand, this agreement intends to strengthen TNCs further allowing them to sue specific governments, should they endanger their profits, on the other it pushes the privatisation of the public sector, opening it up precisely to a take-over by these TNCs. In short, as clear as the differences over members’ position on capitalism and on co-operation with parties and social movements were, it was equally clear that these differences did not prevent in any way joint actions by SIGTUR. Throughout the Congress, Australian trade unionists discussed and worked with their fellow colleagues from other Southern labour movements on an equal footing. The challenge of joint activities: What future for SIGTUR? As it became clear at the Congress, the main challenge actually is not how to handle differences between SIGTUR members, but how to move towards joint actions. In individual discussions with various representatives, doubts were frequently raised about SIGTUR’s capacities in this respect. A Thai delegate, for example, told me that he had been at similar Congresses before, but was getting increasingly frustrated about the lack of progress. The CTA delegate from Argentina emphasised that SIGTUR was important for his union’s international activities, but ultimately the ITUC in Latin America was more active and the cultural similarities made it easier to organise joint campaigns regionally. Equally, a Cosatu delegate emphasised the lack of SIGTUR action between Congresses and pointed to the intensive activities by the ITUC-Africa, being a much more worthwhile international organisation to work with. CUT from Brazil still values SIGTUR, I was told, but less than in the past. In short, the next three years will be crucial for SIGTUR. Joint activities will be necessary so that members continue having faith in the network. Alternatively, SIGTUR and the idea of South-South co-operation could lose attraction. And the potential is there. A new structure with four regional co-ordinators has been established and several targets for joint activities identified. 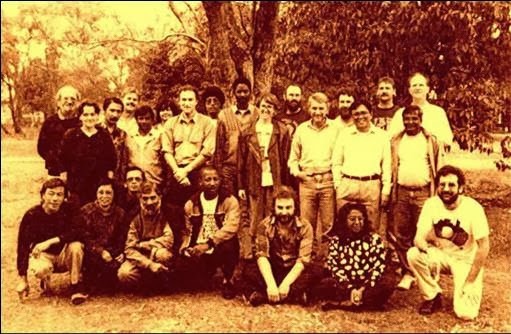 The unique Global South dimension, the fact that SIGTUR members perhaps with the exception of the ACTU are not affected by the ideology of social partnership still puts it in a unique place for class struggle against capitalism. The presence of three trade unionists from Myanmar, where it has just recently become possible to form openly trade unions, and SIGTUR’s signing up to the initiative of Trade unions for energy democracyindicates that it remains cutting edge as an international labour organisation. The decisive task will be to translate this potential into concrete actions so that SIGTUR becomes more known internationally and its more militant outlook can provide a guiding example for others. Solidarity and the overcoming of differences is ultimately always the result of struggle. The next three years may be decisive for SIGTUR’s future as a network. Either members are able to carry out joint initiatives against capitalist exploitation through SIGTUR, or they may well feel that their efforts are better spent elsewhere.